After all, stories from and around the Liebherr Bauma booth are abundant: For example, on those who helped to build the 14,000 square meter booth. Or about those Liebherr’s employees, who work with dedication for a successful presentation. And of course, the more than 100 construction equipment, mining equipment and component innovations that Liebherr presets at the 2016 Bauma. 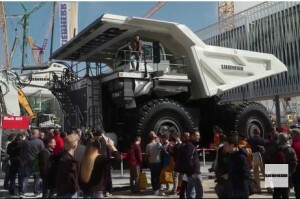 A wide range of other issues also contributes to make the Liebherr presentation at the Bauma a special show experience.